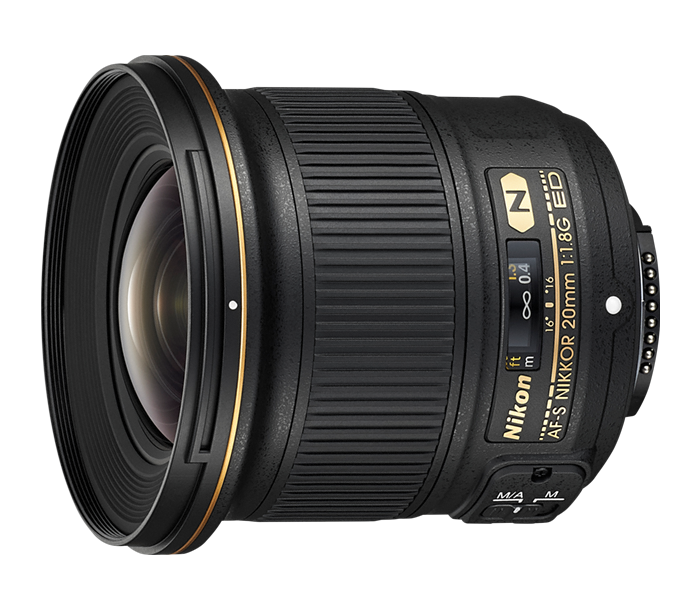 Widen your creative potential with Nikon's fastest wide-angle lens yet. Capture everything from landscapes, skyscapes and architecture to wedding parties, family portraits, stage events and more—indoors or outdoors. An ultra-wide 20mm perspective (30mm equivalent on DX-format cameras) is combined with the low-light capabilities and beautifully blurred backgrounds of an f/1.8 maximum aperture and the superb optical characteristics of an advanced NIKKOR prime lens for stunning performance whether you shoot an FX- or DX-format D-SLR, stills, HD video, time lapse sequences or star trail images.